Are you not sleeping as well as you once were? 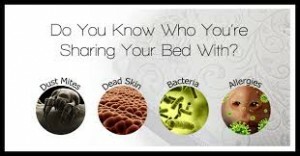 It could be that you need to clean your mattress and bedding. Everyone needs to make sure that their mattress and bedding is always clean and sanitized. On average, we spend at least one- third of our lives in bed, therefore we need to make sure that we are always clean and healthy. Below are some helpful tips to help you keep your bed and mattress well groomed. Frame- We need to start out by making sure that we have the proper support of the mattress and the proper frame and foundation. Spin- Make sure you are rotating your mattress to prevent divots. This means to rotate the foot of the mattress to the head of the bed so that your body doesn’t create body holes from laying in the same spot every night. Flip- All mattresses except pillow tops need to be flipped on a regular basis. This prevents your mattress from wearing out on one side faster than the other. Protection- Always protect your mattress with the use of a mattress protector. This helps keep the mattress pad from becoming soiled and creating mold or mildew. No bouncing- Have a talk with your children and make sure they understand the consequence of jumping on their mattresses. By allowing them to jump repeatedly on their mattress and box spring, you are breaking the foundation and can fracture the bed frame. Vacuum- Always vacuum your mattress when you change your linens. 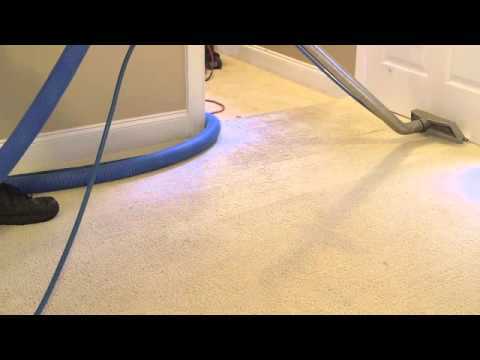 This will remove dust, skin flakes and any dust mites you may have lurking in the mattress. Stain removal- If you get a stain on your mattress, remove the stain as quickly as you can. Either hire a professional mattress cleaner, or use some upholstery shampoo. Don’t forget to allow your mattress to dry completely before remaking your bed. Allergens- Making sure that we all get rid of the dust mites as well as their feces and dead body parts because those are the parts of the body that contain the most allergens. And since dust mites feed on our discarded skin flakes, this gives us the incentive to vacuum our mattresses every time we change our sheets. Clean often- The best way to know that you do not have allergens or dust mites in your bedding or mattress is to clean then on a regular schedule and to clean them thoroughly. Pet free zone- I know that most everyone likes their little furry buddies to cuddle them on cold nights, but they carry an allergen that is called pet dander. Dust mites love pet dander and will more prone to cling to your mattress. Cool- Dust mites love warm weather, so a good way to help keep them at bay is to keep the temperatures lower in the bedroom. Laundry- Make sure you are washing your sheets weekly in very hot water. You also want to make sure you are washing your pillows, comforters and blankets every month. Houseplants- Houseplants are great to have in the living room, kitchen or dining room, but not something you would want in your bedroom. Plants carry pollen, insects, and dust. Call Golden Glove today to have your mattress cleaned professionally so you can maintain a safe and clean bedroom.